This Micro Blue Pearl 2018 Kia Stinger Premium might be just the 4 dr sedan for you. Drivers love the suave blue exterior with a black interior. Don't wait until it is too late! Call today to schedule an appointment. Get the Tri Star Ultimate Advantage! New Loyalty Advantage Benefit Package, KeyCare, Nitrogen Tire Inflation, Dent Repair, Maintenance Savings Booklet - Maintenance Program Includes: 1st Oil Change, Lifetime State Inspections, Discounts and savings valued over $2,000, $500 Additional Trade-In Value, Best Value Guarantee! $5,400 VALUE AT NO EXTRA CHARGE! *Excludes Commercial, Government and Fleet Vehicles. See Store for Details. This Aurora Black Pearl 2018 Kia Stinger Premium might be just the 4 dr sedan for you. Flaunting a sharp black exterior and a black interior, this car is a sight to see from the inside out. Good cars sell fast! Give us a call and schedule an appointment today! 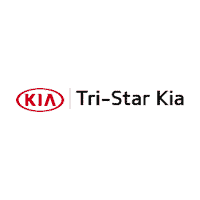 Get the Tri Star Ultimate Advantage! New Loyalty Advantage Benefit Package, KeyCare, Nitrogen Tire Inflation, Dent Repair, Maintenance Savings Booklet - Maintenance Program Includes: 1st Oil Change, Lifetime State Inspections, Discounts and savings valued over $2,000, $500 Additional Trade-In Value, Best Value Guarantee! $5,400 VALUE AT NO EXTRA CHARGE! *Excludes Commercial, Government and Fleet Vehicles. See Store for Details. This Panther Metal 2019 Kia Stinger GT might be just the 4 dr sedan for you. It comes with a 6 Cylinder engine. Rocking a charming panther metal exterior and a black interior, this car is a sight to see from the inside out. Want to learn more? Call today for more information. 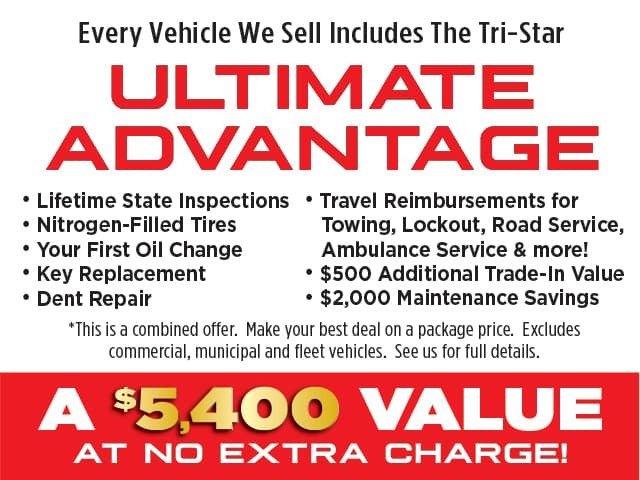 Get the Tri Star Ultimate Advantage! New Loyalty Advantage Benefit Package, KeyCare, Nitrogen Tire Inflation, Dent Repair, Maintenance Savings Booklet - Maintenance Program Includes: 1st Oil Change, Lifetime State Inspections, Discounts and savings valued over $2,000, $500 Additional Trade-In Value, Best Value Guarantee! $5,400 VALUE AT NO EXTRA CHARGE! *Excludes Commercial, Government and Fleet Vehicles. See Store for Details. This Silver 2019 Kia Stinger GT might be just the 4 dr sedan for you. It comes with a 6 Cylinder engine. Rocking a sharp silver exterior and a black interior, this car is a great pick. Come see us today and see this one in person! Get the Tri Star Ultimate Advantage! New Loyalty Advantage Benefit Package, KeyCare, Nitrogen Tire Inflation, Dent Repair, Maintenance Savings Booklet - Maintenance Program Includes: 1st Oil Change, Lifetime State Inspections, Discounts and savings valued over $2,000, $500 Additional Trade-In Value, Best Value Guarantee! $5,400 VALUE AT NO EXTRA CHARGE! *Excludes Commercial, Government and Fleet Vehicles. See Store for Details.